The Czech automobile manufacturer will reveal the Citigo in Geneva. The vehicle will feature slight changes both outside and inside the cabin. Starting at the front end, the model will now have a new creased hood and a new radiator grille, all of which slightly changes the appearance of the vehicle. The front bumper has a wider air vent which goes from corner to corner that features new rectangular fog lamps. Another novelty for Citigo is that it has daytime LED running lights and listed as an option is corner tracking via foglamps. Engineers at Skoda installed a shiny dashboard to the 2017 Citigo which will compete with the new Kia Picanto. This vehicle will feature a more conservative look for both exterior and the interior. The Czech car maker wanted to give the new model a modern look with a few visual enhancements, and the car now looks more appealing to the eye. Although the company only spoke of the improvements as facelift, the new vehicle is 34 mm (1.3 inches) longer than its predecessor. Included in the list of new features are 15-inch alloy wheels, LED daytime running lights, cornering fog lights and Kiwi Green paint. 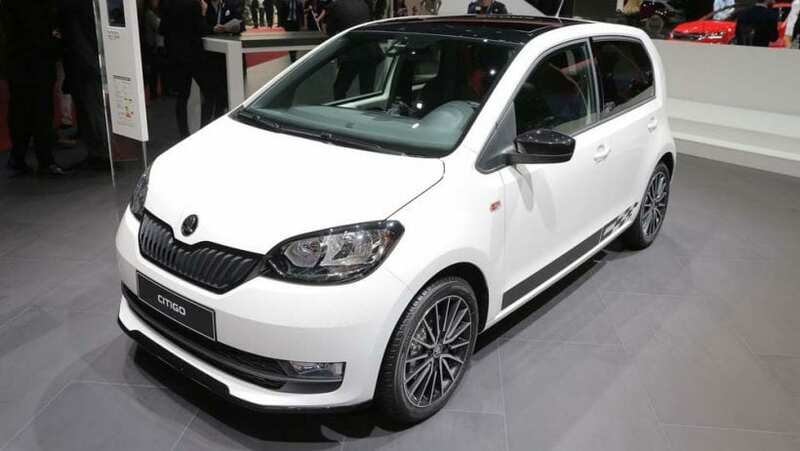 The owners of the 2017 Skoda Citigo will be able to choose a two-tone colour pack which will give them the opportunity to modify the appearance according to their personal style. Skoda recently decided to include an umbrella to their new models, and the Citigo was not left out. This is a nice touch, and we really like the way they hid these. Although you might find the dashboard beautiful at first, the glossy finish combined with dust and fingerprints will eventually deteriorate and make the dash less shiny. Inside the cabin, the 2017 model will also have an improved infotainment system, leather-covered steering wheel and some new features on the instrument cluster. If you have money to spend, you could also get additional features like light and rain sensors, automatic climate control and few other interesting amenities. Unfortunately, the 2017 Citigo will not be offered with the 1.0 TSI engine that the Volkswagen up! sports. 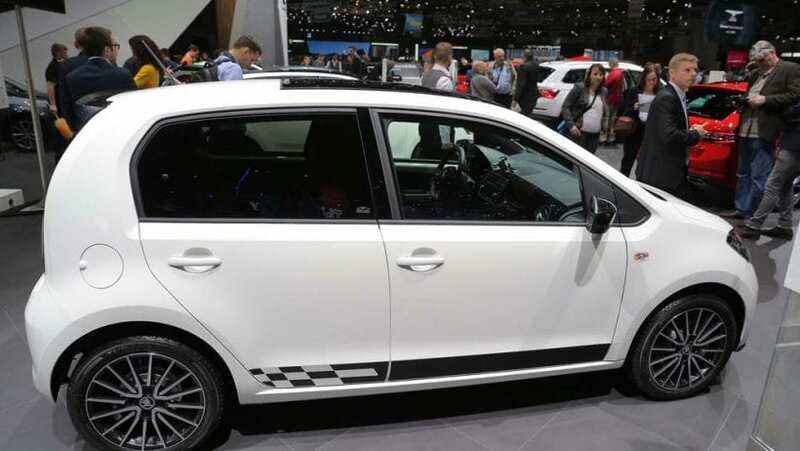 Set to have their new debuts at the Geneva Motor Show, the refreshed Fabia and Rapid models feature that engine, so you might consider checking out these two vehicles if you are interested in turbo power. On the other side, you can look up the Octavia RS 245 if you want to invest your money in something bit more powerful and spacious. You could also get tinted taillights along with black or white wing mirrors and roof panels for mid-range Citigo. Other than that, Skoda equipped the refreshed vehicle with 15-inch alloy wheels and introduced a new shade of green to the list of paint job options. Inside this model, we have a redesigned dashboard along with dial setup. High trim levels have a two-tone dashboard, and two different aesthetic options are offered for the instruments. There are multifunction steering wheel and a Maxi-DOT instrument panel display on the additional features list. The 2017 Skoda Citigo gets a new ‘Simply Clever’ feature in the form of an umbrella placed beneath the passenger seat. The cabin also features new-generation Blue and Swing model radio systems. The Swing has a color display, six speakers along with Bluetooth connectivity for iOS and Android systems. 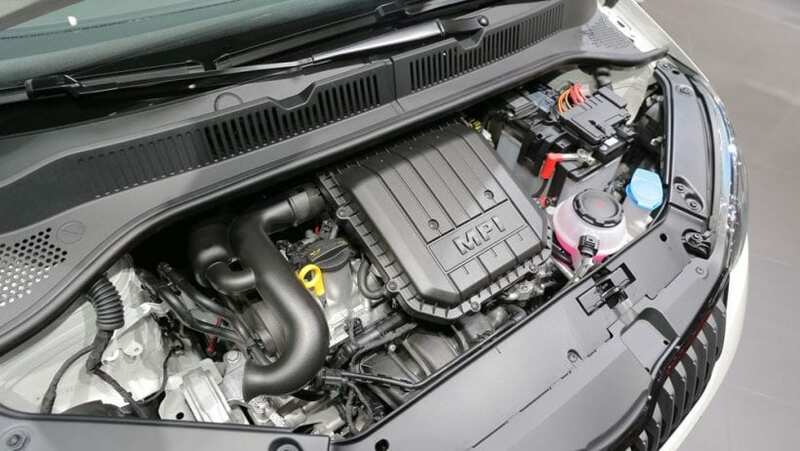 Under the hood, the vehicle will keep both 1.0-liter three-cylinder petrol engine options- the first that is good for 59 bhp and the second producing 74 bhp. The 2017 Skoda Citigo will debut at the Geneva Motor Show in March, but it will not be the only Skoda model that will be revealed there. Scheduled to be introduced are also Scout and Sportline versions of the Kodiaq SUV and the new Octavia with the most powerful engine ever.